You hate them or you love them, or more likely, you love to hate them. Sword and sorcery movies are a unique genre. They have some of the most clichéd characters and plot lines ever: but that’s sort of the point. A humble barbarian who comes in to save the day for a captured princess. The son of a blacksmith who turns out to be a secret prince. Sweaty, muscled men hacking down pig-headed monsters. And babes. Lots of babes. Stemming from the pulp fiction novels of authors like Robert Howard, who created the Conan universe, the movies began to create a sort of self-sustaining mythology. The Sword And The Sorcerer was the most profitable indie film of 1982, and is a solid entry into the genre. It was directed by Albert Pyun, who came back decades later to make a sequel in 2010. It even stars the former Miss Iceland, Anna Bjorn, in a small role. The movie was not praised by critics, but has a large following in the cult film world. Dragonslayer is actually one of the worst (or best?) in the entire list. And why? Because it was actually made on a huge budget and shouldn’t have been so bad. Regardless, it was bad, terrible, and proof that a large budget doesn’t mean a film will be good. The acting is beyond wooden, and the main character is reliably cringeworthy. 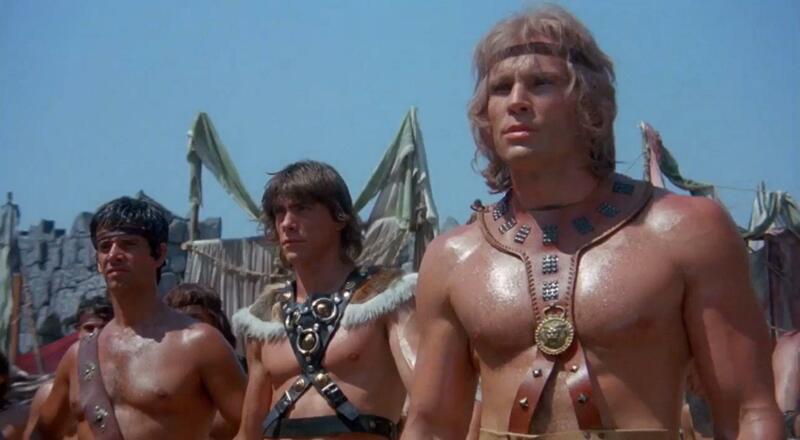 In the Arnold Schwarzeneggar-induced Conan craze of the eighties, Red Sonja was the expected outcome. A female-led sequel which also happens to star Arnold in a different role, the movie is good, but not great. Like all of these. One of the later additions to the genre, the famed Kevin Sorbo (a B-list movie regular) plays a character inspired by Arnold Schwarzeneggar’s Conan. Interestingly, Kull the Conqueror was intended to be a sequel to the 80s Conan films, but Arnold didn’t want to reprise the same character again, and Kevin Sorbo felt that Conan’s character belonged to Arnold, so they created Kull as a sort of spiritual successor. It’s not a great movie, but neither is it the worst pick if you’re looking for a good sword and sorcery flick. The budget, styling, action, and set design is one of the better ones within the genre. Widely regarded as one of the worst films of all time, Gor is a 1987 sword and sorcery film that is just not very good in any way. Starring Rebecca Ferratti, it’s pretty clear that she is better as a model than an actress. The over-done tropes aren’t really worth watching, but if you’re in the mood to play a drinking game and get really trashed, this is one of the films worth watching. 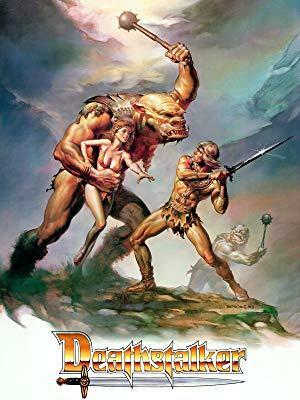 One of the earliest sword and sorcery films, The Beastmaster is a driving action movie with good characters, a great cast, and a solid plot, which is more than can be said of many. Tanya Roberts (from Charlie’s Angels) stars in this film. Deathstalker: The Last Great Warrior King was the first in 1983, and starred b-movie legend Richard Hill as the titular Deathstalker. 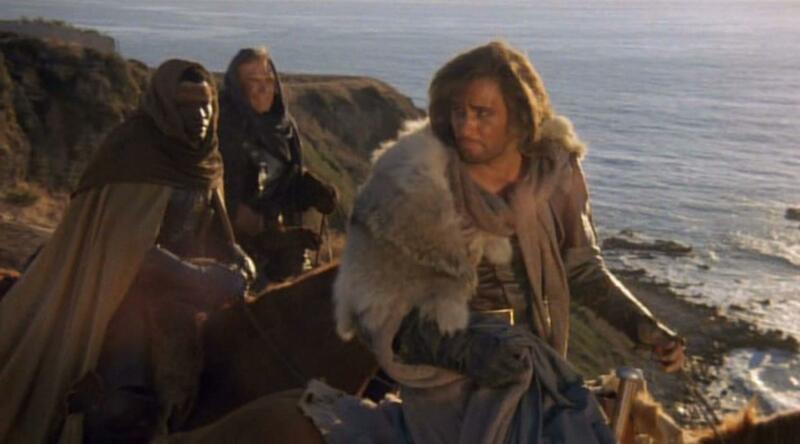 Deathstalker II: Duel of the Titans followed it in 1987. Starring a different b-movie legend, John Terlesky, this movie was almost a comic tongue-in-cheek nod to itself. Deathstalker III: The Warriors From Hell was the third film, released in 1988 and starring John Allen Nelson. Deathstalker IV: Match of Titans was the final film released in 1991. The original Deathstalker, Richard Hill, returns to play his role in this film, which was also the first to be shot on location in Bulgaria. If the name seems similar to the second film, well, the plot isn’t much different either. Are there other films you think should be added to the list? Let us know!